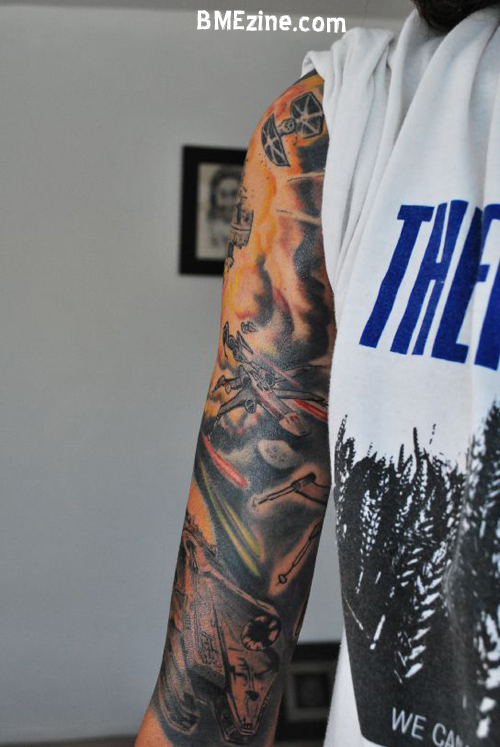 Evan sent in some photos of his sleeve that’s currently in progress. 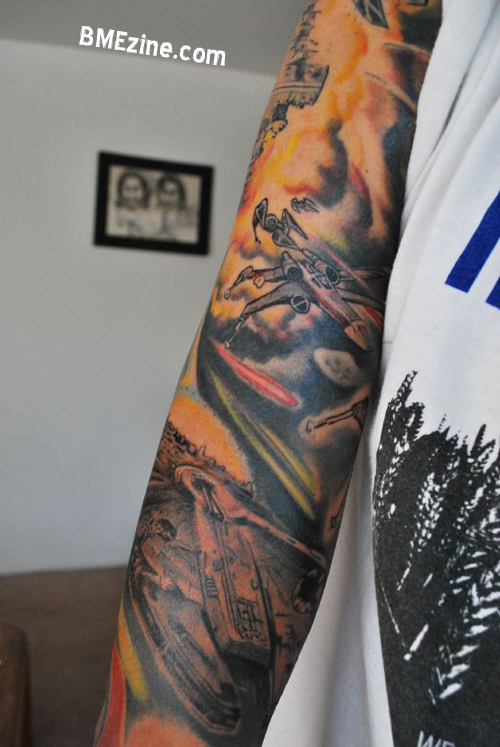 I figured after last weeks debacle I’d post a Star Wars tattoo that we can all get behind. This lovely battle scene is by Jim Warf of Rouge Elephant in Moreno Valley, California. Can’t wait to see it when it’s finished! This entry was posted in ModBlog and tagged Geek Tattoos by Rachel. Bookmark the permalink. We require more geek tattoos. evan, why aren’t we married?? I jizzed. In my pants. I have no clue joy. Why aren’t we married?! this is the best thing i have ever seen in my life!!! !